Managing an enormous (more than $50 billion) sovereign wealth fund, like Paul Ballard does, seems on the surface not to lend itself to innovation. But bigness does not equal stolid thinking. The chief executive and chief investment officer of the Texas Treasury Safekeeping Trust Co., Ballard has amply shown the innovative spirit that animates the Lone Star State’s sovereign wealth fund. You can see this through the Trust Company’s speed and flexibility, its appetite for early risk, its flat organizational structure, and its openness for making unconventional hires to avoid groupthink. Ballard joined the Trust Company in February 2003. Prior to that, he was executive administrator and CIO of the Texas Permanent School Fund, a $20 billion endowment benefiting K-12 public education in Texas. His institutional funds management experience includes having served as executive director of the Kansas City (Missouri) Public School Retirement System. 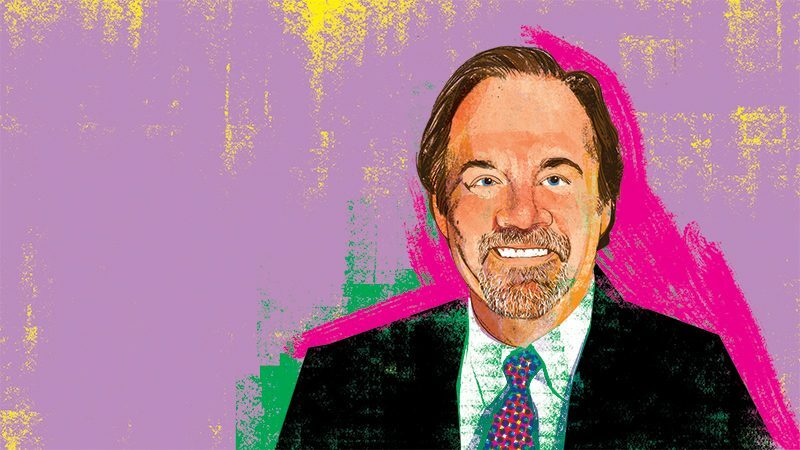 He began his investment management career in 1982 when serving as chief financial officer for Safety Federal Savings in Kansas City, where he was charged with responsibility for building and managing the institution’s mortgage-backed-securities portfolio. The Trust Company endowment funds logged a 2.2% return as of mid-year 2018, after turning in an 11.5% performance the year before. Since its inception in 2002, they have advanced an average 5.6% yearly. Along the way, Ballard has constructed a portfolio that balances boldness (10% allocated to private equity and 10% to private debt, for instance) and prudence—delivering the same return as a conventionally deployed 65/35 global stock/bond portfolio, and with half the risk. Flexibility and speed of execution. Ballard puts an emphasis on approving or rejecting opportunities quickly. “That keeps us in good standing with our partners and encourages managers to present us with opportunistic strategies that may have limited capacities,” he says. The Trust Company strives to earn a reputation for not stringing managers along. Developing enduring relationships with quality GPs, he says, results in insights that can lead to ideas that help the organization meet its investment objectives. Taking on early mover risk. With reduced return expectations ahead, he says, it is important to consider unconventional strategies. Example: An entrepreneurial broker-dealer, who had long done business with the Trust Company, had a deep understanding of single-family housing and housing finance in the wake of the global financial crisis and the housing bust—one that produced two strategies that yielded exceptional risk-adjusted returns. One strategy extracted outsized returns from the issuers of sub-prime mortgage securities, who were largely responsible for the crisis. The Trust Company bought these securities at depressed prices and, by pursuing an evidence-backed and disciplined legal strategy, the rights of securities holders were enforced and the securities were put back to originators at prices approaching par. The other strategy was inspired, in part, by the need to mop up the country’s excess housing inventory following the crisis. The Trust Company bought single-family homes at scale and leased them as institution-owned rental properties. The strategy also helped meet the needs of an increasingly mobile population and introduced professional management to a sector of the real estate market historically run by mom-and-pop owners. Single-family rentals are now an accepted institutional asset class. The Trust Company profits from continuing exposure to the asset class and an ownership stake in the general partner. Flat organization. The organization’s staff are all incented with common goals to exceed fund-level benchmarks in the different products it manages: endowment funds, a long-term hybrid growth/draw-down vehicle, an enhanced cash product, and the state’s AAA-rated operating fund. Individual efforts are recognized, but compensation is based on the total return of each fund. A flat organization prevents silo-ed thinking and turf protection, which come at the expense of the common good. Trends or dislocations identified in one asset class can present opportunities in another. Ballard changed the physical layout of the investments area to eliminate offices in favor of an open workspace where collaboration could occur more easily. Any remaining offices have glass walls. Staff are encouraged to share information and thinking at all levels, from the CIO to analysts. An operational due diligence team reports to the CFO, creating a constructive feedback loop, helpful in a world where best practices are constantly evolving. Diverse backgrounds to combat groupthink. A number of the investment team came to the Trust Company with no experience in the investment business, and thus no pre-conceived biases. An economics PhD from academia now manages its quantitative risk function, and a former attorney oversees its private credit and alternative fixed income portfolio components. Both are top-performing members of the investment team and have brought innovative approaches to their work. “The staff knows that we are willing to risk failure and that we view failures as learning experiences,” says Ballard, “assuming they are not repeated.” The willingness to fail gives staff license to think creatively, he believes. And to Ballard, that is the name of the game.